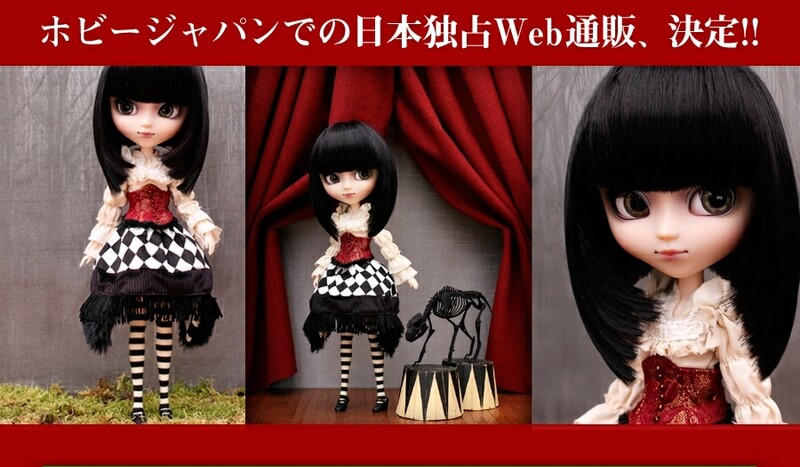 Groove revealed Pullip Alura, the counter part to Pullip Laura who was the cover model for Dolly Japan Vol.2. Do you like the use of the wordplay anagram? Laura being rearranged to create Alura. 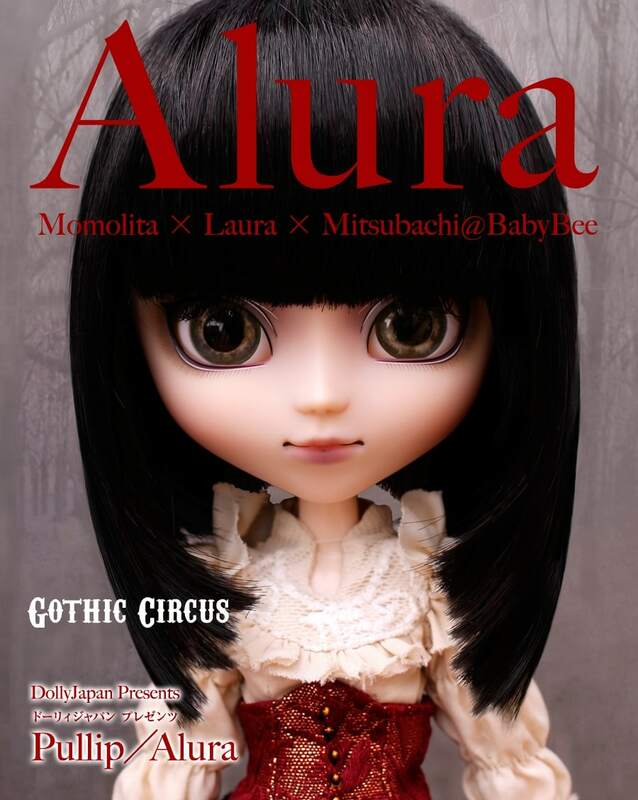 Pullip Alura is the second collaboration between British photographer Laura and clothing designer Momolita of Japan. 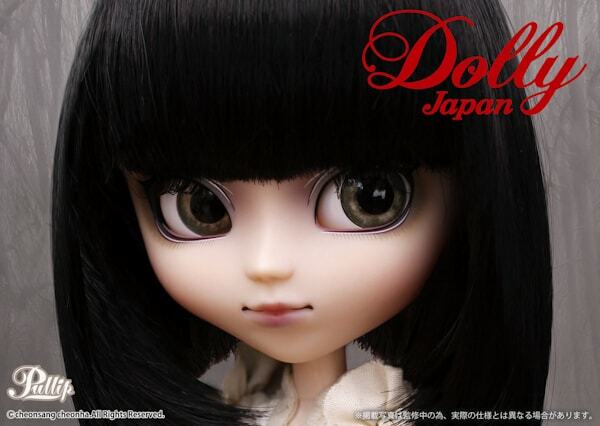 The image below was featured inside Dolly Japan Vol 2. 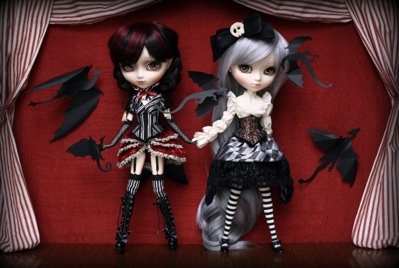 I believe inspiration for Pullip Alura comes from the doll on the right which closely resembles the style of Alura. 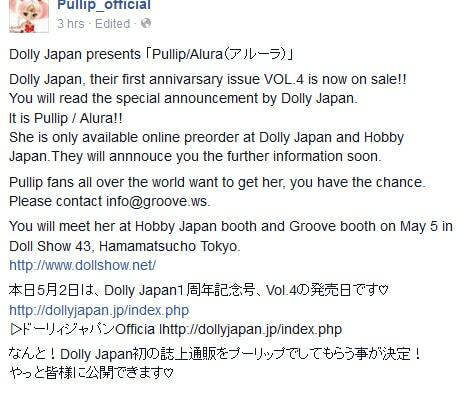 According to Groove you can buy Pullip Alura online via Hobby Japan and Dolly Japan. 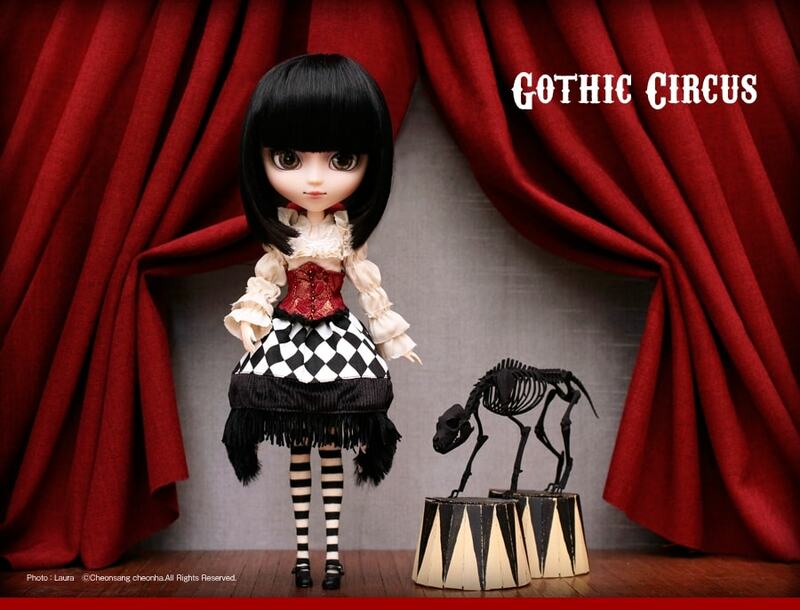 If you live outside of Japan don't fret, because Groove stated on their Facebook page that you can email them to submit your order for the Circus themed girl. 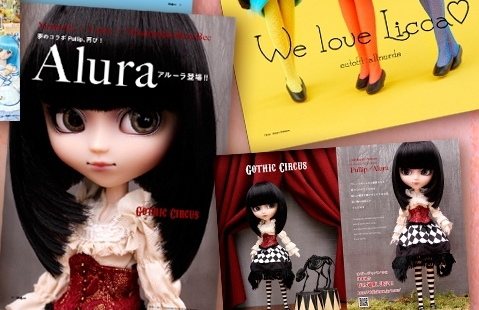 Want to get your hands on Pullip Alura? Hobby Japan is now accepting pre-orders for her! Scheduled release date is October 2015. 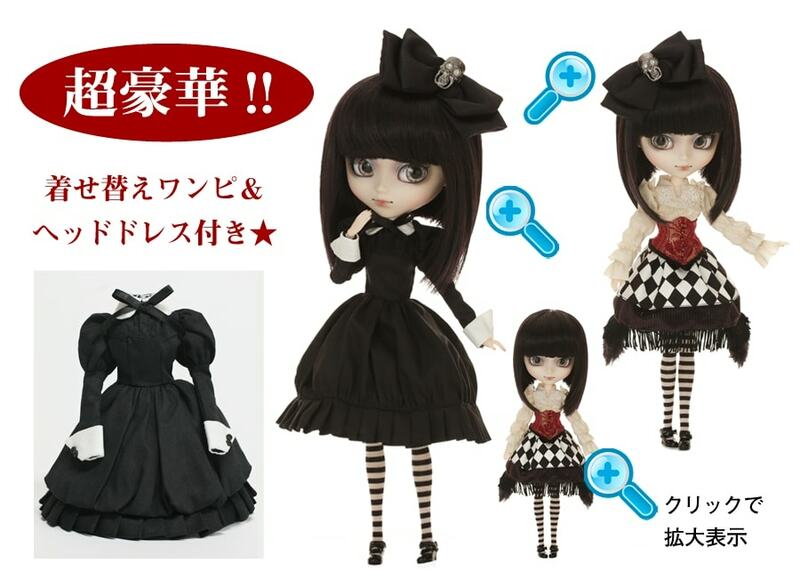 It also looks like Pullip Alura will come with extra outfit. Click here to pre-order her.